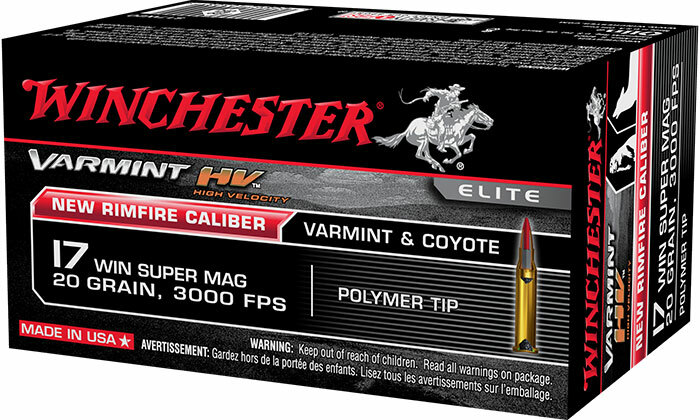 The .17 Winchester Super Magnum is the newest rimfire release by the folks from Winchester. 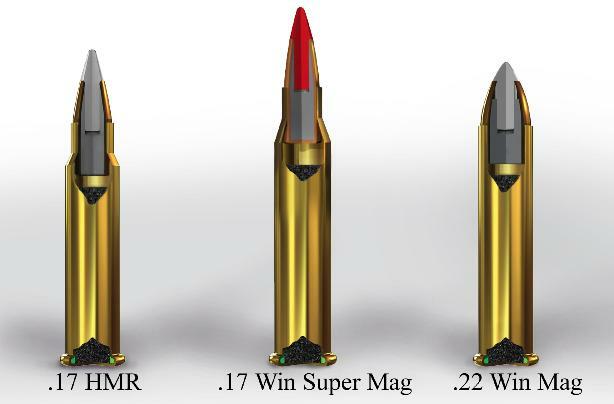 They are calling it “The World’s Fastest, Most Powerful Modern Rimfire Cartridge” and so far, their numbers seem to hold true to the “Fastest” claim. 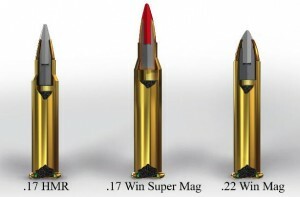 Although the 25 grain offering is also a nice step-up, with a decent bullet for small predators, I think the real focus of this new round is going to be on the 20 grain bullets and its speed. 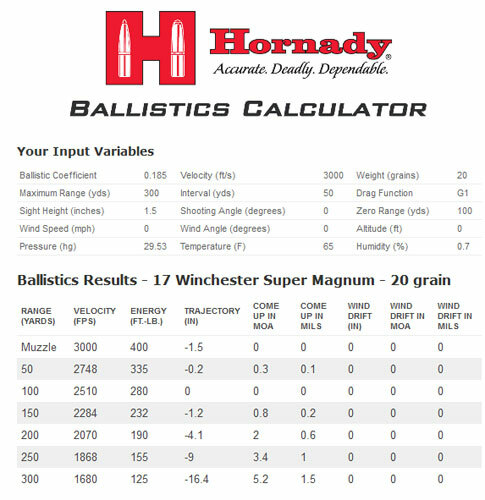 A quick run through a ballistics calculator shows that the 20 grain “plastic tip” version should reach 400 foot pounds of energy at the muzzle, with the bullet shedding a little less than half of that at 200 yards (190 fpe). 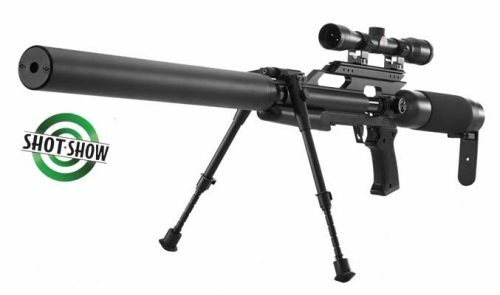 The drop is only 4.1 inches at that same 200 yard range. 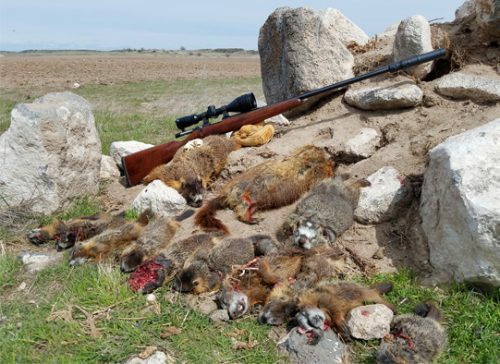 By comparison, the 17 grain, .17 HMR going at 2550 feet per second, has only 73 foot pounds of energy left at 200 yards and has dropped 8.4 inches. 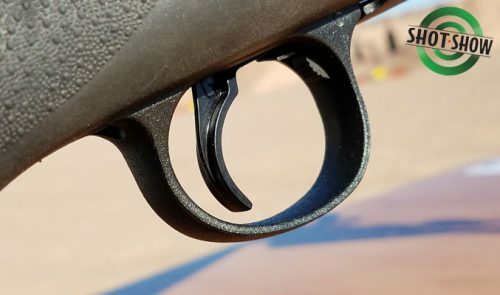 If the numbers for the 17 Super Mag hold up in real world testing, then this should be one flat shooting little rimfire! 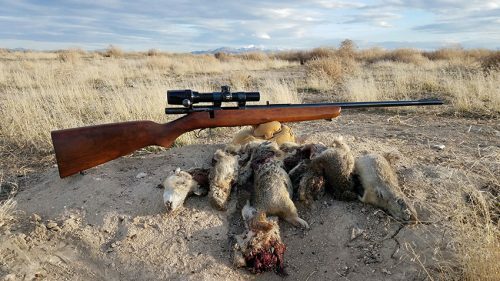 Savage is reported to be chambering this new cartridge, with both a bolt-action single shot and a bolt-action repeater. 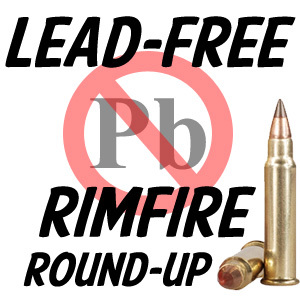 Reaching 3000 feet per second has always been the pinnacle for the modern rimfire cartridges. 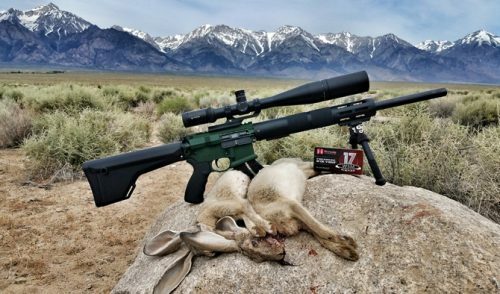 The new .17 Winchester Super Magnum reaches that and I’m sure will surpass it in some rifles and field conditions. Winchester states in their press release that the ammunition will be available at dealers by April 2013. I will have the opportunity to shoot this cartridge at the upcoming S.H.O.T. 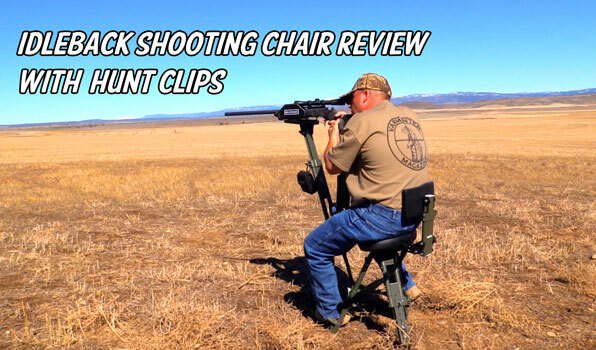 Show this month and will report back with as much information I can gather.